Almost overnight, a white powdery film has shown up all over the leaves of your garden plants! 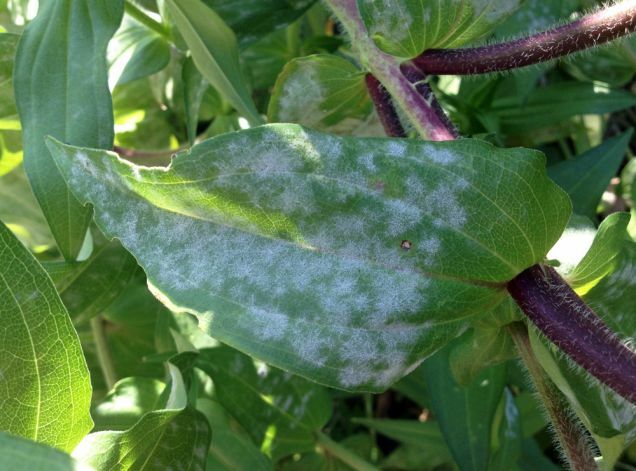 Crape myrtles, zinnias, roses and other common landscape plants can fall victim to this the fungal disease called powdery mildew. It can be caused by a few different species of fungi and it moves in fast to deprive your plants of their water and nutrients. Often, plants that are improperly watered, receive too much shade or are otherwise stressed can become infected. Warm days, cool nights and humidity all contribute to the onset of powdery mildew. Watering your plants at night can also cause fungal disease problems. If you’ve experienced powdery mildew on your plants, change your watering schedule to early morning. There are natural fungicides that can be used to control the disease.